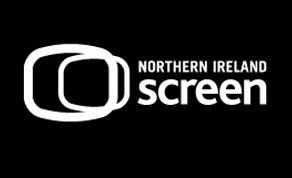 The Irish Language Broadcast Fund (ILBF) aims to promote the production and broadcast of quality Irish language content in Northern Ireland. Funding was awarded across a wide genre of TV and online content with a total of 15 projects receiving funding. Over a three-week period, the drama of a Gaeltacht summer college unfolds in '#AnGhaeltacht', a factual series from DoubleBand Films. The Gaeltacht has been a right of passage experience for generations of people. The three part series tracks a diverse group of characters as busloads of teenagers from Newry, Belfast and Derry descend on the quiet coastal hamlet of Machaire Rabhartaigh. DoubleBand has also received funding for 'Doineann' a dark, feature length thriller which sees a wily, retired female Garda inspector investigate a murder on a beautiful, sleepy island off the north-west coast of Ireland. This is the first feature drama funded in the new initiative with TG4 and BBC. Imagine Media was awarded funding for 'Cluiche an Gheimhridh' which looks at the enduring pastime of card-playing in Ulster. Meanwhile, Paper Owl Films has received funding for 'Ár mBia, Ár Slí', a web series for RTEJr in which eager domestic gods and goddesses conjure up their favourite dishes in kitchens all over Ireland. Macha Media's 'Croí Briste' follows Daithí Mac Gabhann, a two year old boy on the heart transplant waiting list. His journey highlights the important issue of organ donation, as his parents await news of a new heart for their beloved son. Macha Media has also received funding for 'Laochra Thar Lear' a documentary about former Irish Olympic heroes, looking back at the very first Irish Olympians and their remarkable stories and achievements. The documentary will coincide with the 2020 Tokyo Olympics. Below the Radar has been awarded funding for 'Turas an Bháis' which will look at the way we deal with death in contemporary Ireland through the eyes of terminally ill, retired manager of Club Chonradh na Gaeilge, Seosamh Ó Conchúir and his family. Below the Radar's discussion series 'An Focal Scoir' will also return for a third series, providing in-depth debate and analysis of various stimulating and controversial issues. Also returning for a third series is Waddell Media's 'Turas an Bháis', a series which will take a fly-on-the-wall look at the daily commute of various car loads of humorous, opinionated commuters, all with their own stories to be told as they begin their journey to work. Additionally, the ILBF has given funding to 'Raidió Fáilte' for its broadcast training scheme. The scheme offers a strong foundation for those who wish to work in the media sector and provides an opportunity for them to add to their experience in the production sector.